Summary: This delightful walk is almost entirely walked within the civic parish of Haverah Park which consists of several scattered farms and is found just to the west of Harrogate. 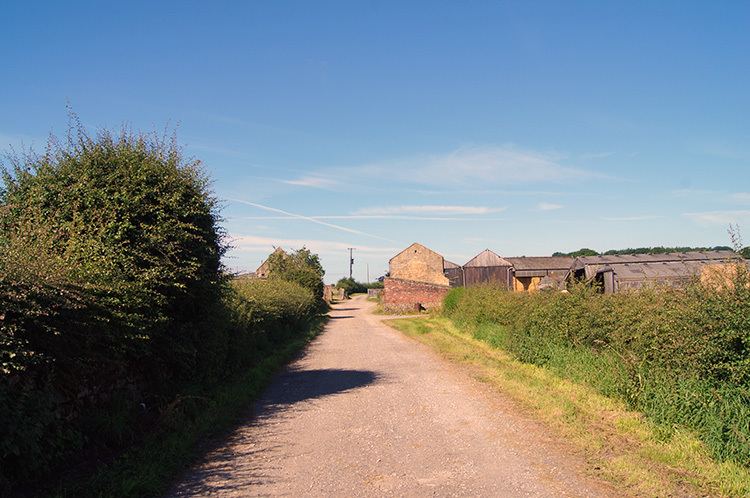 There are no public roads within Haverah Park and thus this walk is one of private access roads to farms, public bridleways and public footpaths. 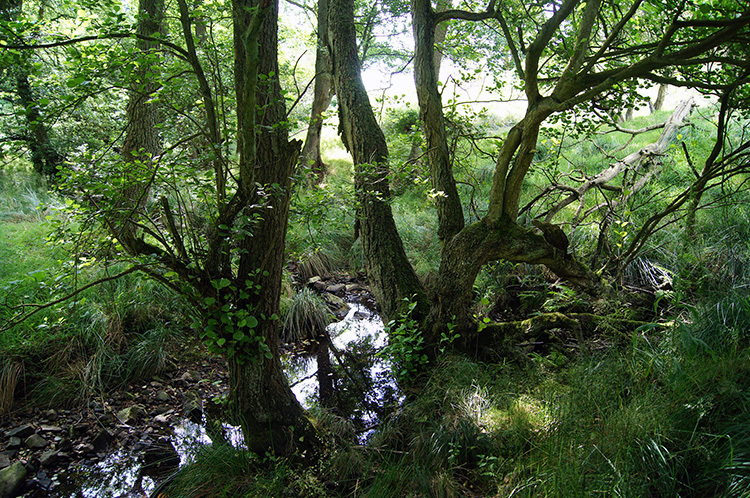 The walk has an initial descent from Beckwithshaw to cross Oak Beck and then climb into Haverah Park. After that there are no significant climbs so the park walk can be enjoyed leisurely. 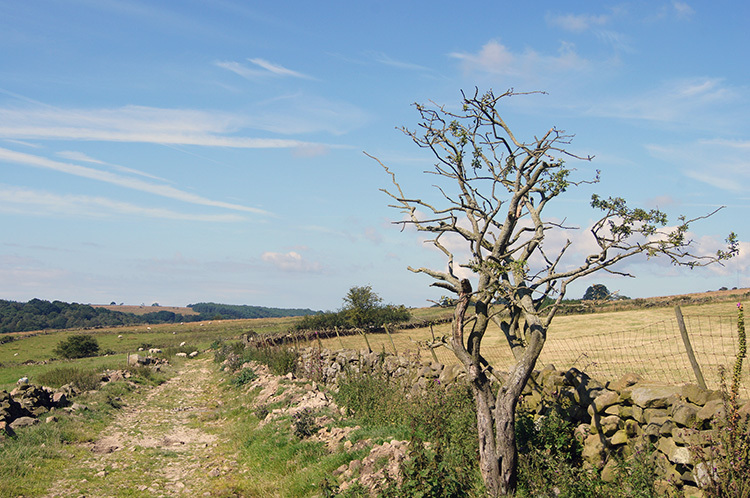 And with walking height being consistent at around 150 metres there are good views to be enjoyed, westwards to Askwith and Blubberhouses Moors and to Simon's Seat and extensively eastwards over the roofs of Harrogate and over the Vale of York to the North York Moors. The Walk: Important note: There are two choices of starting point for this walk. 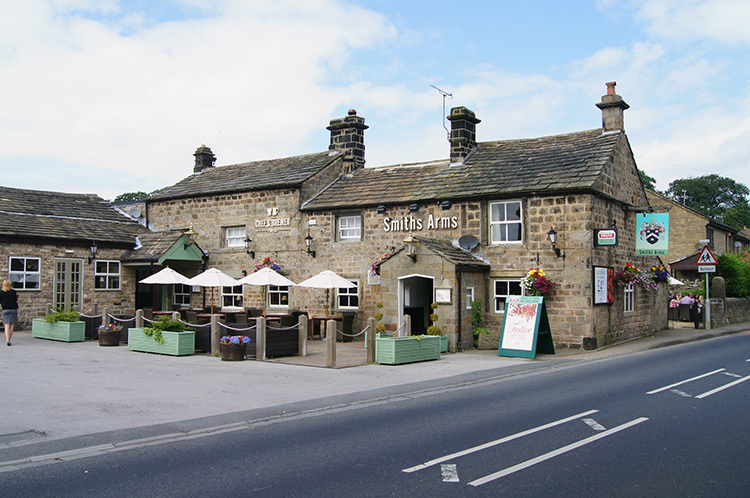 The only place to park a vehicle in Beckwithshaw is within the Smiths Arms car park so if refreshments and/or a pub lunch is part of the walking agenda then you could arrange with the proprietors to park at the pub. Alternatively roadside parking is available in a spacious lay-by area just off the the B6161 near Cardale Woodland at grid reference SE 26887 54079. Whichever starting point is chosen a careful roadside walk is required to begin the journey. Despite the necessary inconvenience of walking alongside the B6161 road which is especially busy at peak times the walk brings relief soon after Pot Bridge is crossed and the access road to Pot Bridge Road which leads into Haverah Park is reached. 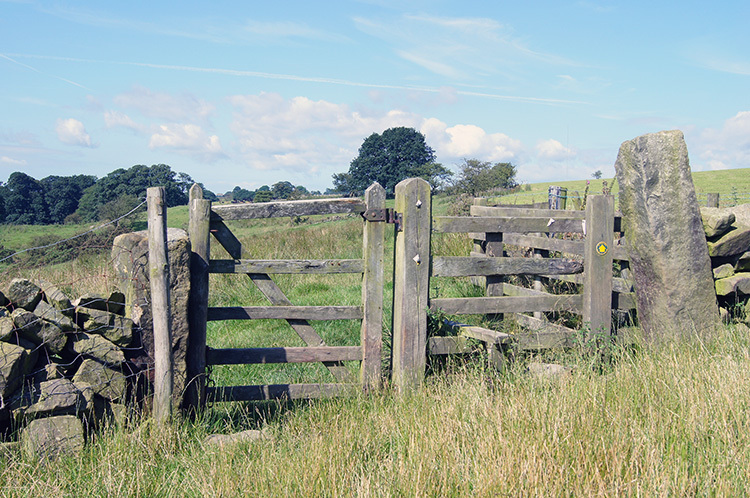 You are not only walking into the park on a quiet road now; you are actually following the Dales Way Harrogate to Ilkley Link footpath. Perhaps you will meet someone walking with a large backpack who is heading all the way to Lake Windermere. If so it will be a Dales Way walker. I walk in Haverah Park often, the surroundings are like a familiar friend. I was the local Water Board Inspector for the area in the late 1980's and during my tenure I got to know most of the farmers who work the land within the park. Now the farms I walk past are mainly managed by their sons. I always look at the farms with affectionate memories as I pass them. As I did with Pot Bridge Farm on this particularly sunny and warm September day. A further note: My walk had not started from where I have recommended on this page. I had walked from home in Harrogate and through Harrogate Pinewoods and Cardale Woodland to reach Haverah Park. I always do. (note: parking at Harrogate RHS and using this route is another option- contact me for route guides should you choose too. It does mean a bit more distance is covered but in benefit there is less B6161 roadside walking). Now let us concentrate on the walk shall we. I passed through the farmyard of Pot Bridge Farm and soon later reached Oatlands Farm which I skirted past, turning from west bound to north bound as I did so. Immediately after passing Oatlands I walked on a field edge beside a small wood and after turned again to resume a westwards course into the heart of Haverah Park. All was peace and quiet now. all I could hear was the calm waft of light breeze through the treetops and over the high uncut grasses on the edge of my field-side path. A little earlier I had been in the bustle of town and for a short while alongside the irritating noise of vehicle engines. All that unwanted noise was all gone now. I was walking within the serene peacefulness of nature. The joy of walking along in almost total silence was intoxicating. Most of the time all I could hear was the tread of my own feet as I walked onwards. There were temporary interruptions to the calm as I stepped off the firm soils and grasses of the unmade paths to cross the concrete of the triple farmyard series which are Whin Hill Farm, Prospect House and Central House Farm. Near Whin Hill Farm I talked with some curious cows who had crossed the next field to inspect me. For my comfort we had a wall between us but they were a friendly enough bunch. At Prospect House I could hear the pigs which were homed in a big shed while I passed it. I think they must have been recently fed as they were satisfyingly grunting. At Central House Farm all was quiet. After passing the three farms it was back to listening to the sound of my own feet. Except for the sound of tractors and other farm machinery working in some of the fields nearby. Eventually the agricultural machinery sounds were replaced by the natural sound of Rooks cawing to raise the flock alarm when I approached their woodland home. I walked through the wood and enjoyed the changing effects of light and shade caused by penetrative sunlight on the woodland floor as I did so on the way to Long Liberty Farm. It was a gorgeous time. After the delightful woodland stretch of walking I emerged into the full light of day just to the north of Long Liberty Farm. Adjacent to the farm I left the path which had kept me on a course west to head south down a Water Board access road. Soon I turned off the access road and resumed a westward course which would lead me along the north side of Beaver Dyke Reservoirs. There are two reservoirs separated by a dam. These two, along with Scargill Reservoir and Ten Acre Reservoir which I would pass later are all set within Haverah Park and they all serve as the water supply for my home town of Harrogate. 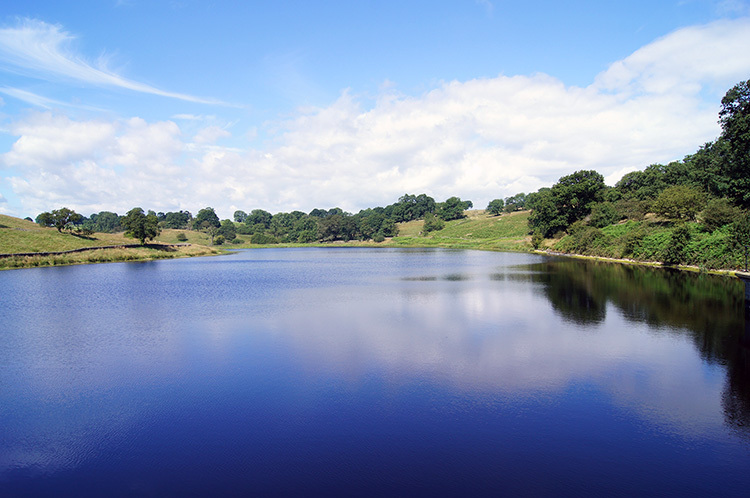 I walked around the north side of the reservoirs and then at the western edge I turned to cross to the south side. I was still following the Harrogate to Ilkley Dales Way Link as I turned but here was where I left it to continue its journey west while I turned to head east. 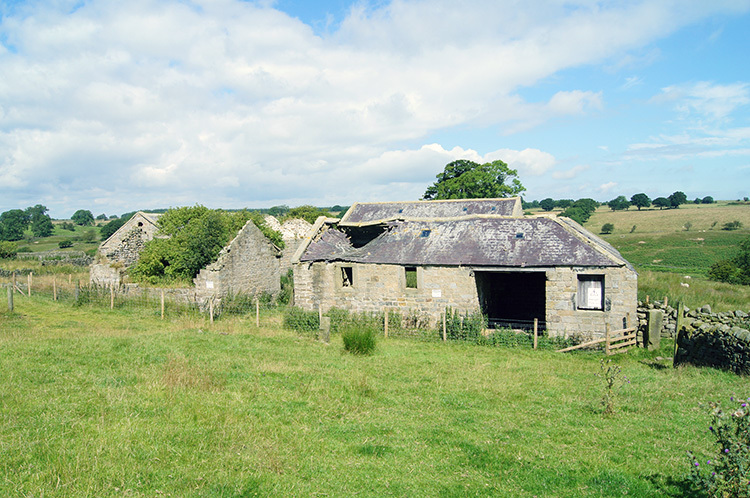 I climbed from the reservoirs to near the derelict deserted buildings of Haverah Park Top Farm. 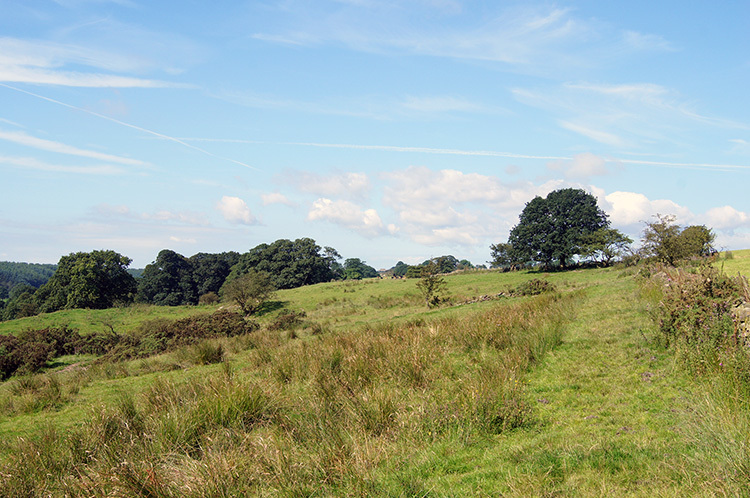 Next to the farm on a raised mound are the scattered remains of John O'Gaunt's Castle. As with the farm the castle, a former hunting lodge is also derelict and deserted, just a little longer in time though. Haverah Park continued to be a picture of beauty and a setting of utter peace on the return journey eastwards from Beaver Dyke Reservoirs. There was a little bit of deja vu to overcome first. The welcome type though for after crossing the dam separating the two Beaver Dyke Reservoirs I followed the path I had walked just earlier on the north side of the east-most reservoir back to the access road. Then I turned right to head south to Low Scargill Plantation and then south-east toward Ten Acre Reservoir. All was new again and with it all was fresh. Early autumn midday sun beamed down and soaked Haverah Park without burning it. 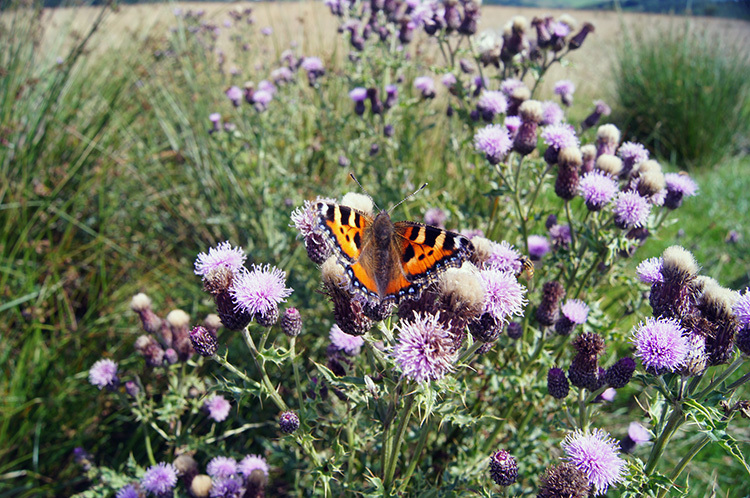 It was a joy to walk with it and to bask in it as the Butterflies I passed were doing, taking full advantage of the heat provided as the enjoyed the nectar of flowering thistle. While I did not visit either Scargill Reservoir or Ten Acre Reservoir I did pass closely to both and in doing so crossed a few feeder streams. As insects do so in late summer and early autumn they were thriving down by the watercourses so while it was lovely to be down close to the trickling flow it was a double edged sword. While sight and sound were so nice the flies made sure my visits were short. Back up in the sunshine walking was more pleasant and less itchy. After passing close to the north side of Ten Acre Reservoir the walking took on a more expansive prairie like nature. While being at around 190 metres above sea level the terrain was very flat and the fields much bigger than earlier on in the walk. the lines of the walls were also much straighter, this was the most extensive open Hay meadow land in the whole of Haverah Park. The views were extensive and I could clearly see the North York Moors and the White Horse of Kilburn 24 miles due north-east. I could also see strange shapes looming much closer to me too. As I had neared Ten Acre Reservoir they were to the south of me. After I had made the circuit on the way around Springhill Farm I was amongst them. 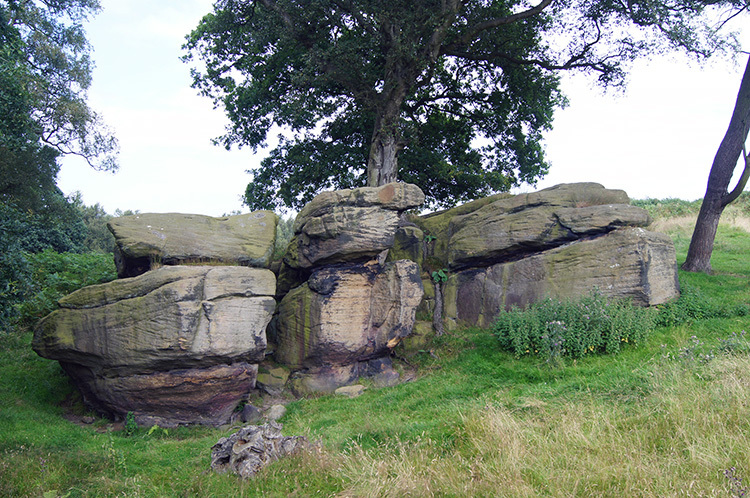 Gritstone outcrops were near the path. Some enticed me to run up and climb them. So I did. It was such fun, I will always behave a young lad and climb them. For as long as I physically can. I climbed the one in picture and leapt from left stack to centre stack and from centre stack to right stack. And then back again. Or was it the other way around? Who cares, it was fun. There were quite a few stacks to choose to climb on too and more so in the near distance. I could have played all day. 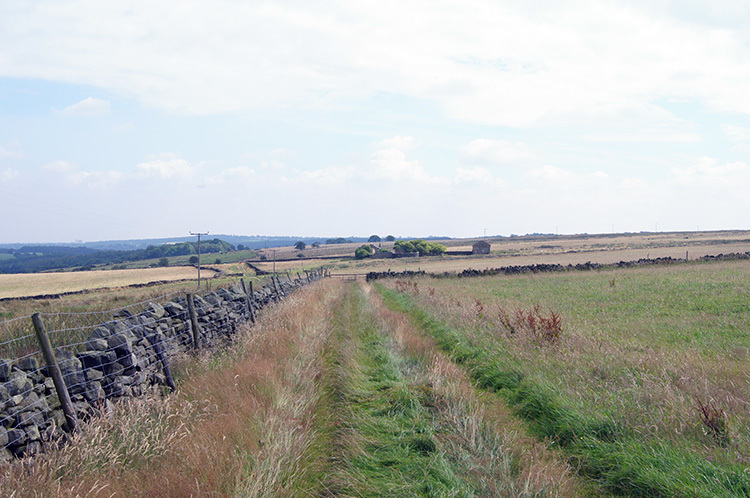 The path led me out of Haverah Park near to Beckwithshaw Cricket Club and a short walk back into the village. If you are parked in the pub now is the time for refreshments and to chat about a good day in Haverah Park. If you are parked in the lay-by it is a very short walk too. 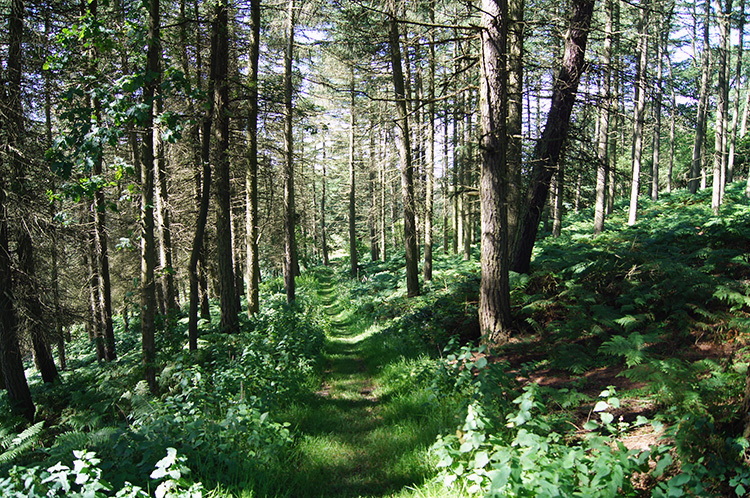 For me I could reflect on my way back through the woods to Harrogate and while doing so to plan for the next time. I look forward to that.